BRITISH STANDARD Aircraft ground support equipment — Specific requirements — Part 12: Potable water service equipment ICS 49.100                                                                        BS EN 12312-12:2002 +A1:2009This British Standard published under the authority of the Standards Policy and Strategy Committee on 9 September 2002 National foreword BS EN 12312-12:2002+A1:2009 This British Standard is the UK implementation of EN 12312-12:2002+A1:2009. It supersedes BS EN 12312-12:2002, which is withdrawn. The start and finish of text introduced or altered by amendment is indicated in the text by tags. Tags indicating changes to CEN text carry the number of the CEN amendment. For example, text altered by CEN amendment A1 is indicated by a b. The UK participation in its preparation was entrusted to Technical Committee ACE/57, Air cargo and ground support equipment. A list of organizations represented on this committee can be obtained on request to its secretary. This publication does not purport to include all the necessary provisions of a contract. Users are responsible for its correct application. Compliance with a British Standard cannot confer immunity from legal obligations. Date Comments © BSI 2009 ISBN 978 0 580 61078 3 Amendments/corrigenda issued since publicationwas 30 June 2009 Implementation of CEN amendment A1:2009 EUROPEAN STANDARD NORME EUROPÉENNE EUROPÄISCHE NORM EN 12312-12:2002+A1 April 2009 ICS 49.100 Supersedes EN 12312-12:2002 English Version Aircraft ground support equipment - Specific requirements - Part 12: Potable water service equipment Matériel au sol pour aéronefs Exigences particulières Partie 12: Matériel d alimentation en eau potable Luftfahrt Bodengeräte Besondere Anforderungen Teil 12: Trinkwasser Servicegeräte This European Standard was approved by CEN on 29 May 2002 and includes Amendment 1 approved by CEN on 1 March 2009. CEN members are bound to comply with the CEN/CENELEC Internal Regulations which stipulate the conditions for giving this European Standard the status of a national standard without any alteration. Up to date lists and bibliographical references concerning such national standards may be obtained on application to the CEN Management Centre or to any CEN member. This European Standard exists in three official versions (English, French, German). A version in any other language made by translation under the responsibility of a CEN member into its own language and notified to the CEN Management Centre has the same status as the official versions. CEN members are the national standards bodies of Austria, Belgium, Bulgaria, Cyprus, Czech Republic, Denmark, Estonia, Finland, France, Germany, Greece, Hungary, Iceland, Ireland, Italy, Latvia, Lithuania, Luxembourg, Malta, Netherlands, Norway, Poland, Portugal, Romania, Slovakia, Slovenia, Spain, Sweden, Switzerland and United Kingdom. EUROPEAN COMMITTEE FOR STANDARDIZATION COMITÉ EUROPÉEN DE NORMALISATION EUROPÄISCHES KOMITEE FÜR NORMUNG Management Centre: Avenue Marnix 17, B-1000 Brussels © 2009 CEN All rights of exploitation in any form and by any means reserved worldwide for CEN national Members. Ref. No. EN 12312 12:2002+A1:2009: EEN 12312-12:2002+A1:2009 (E) 2 Contents page Foreword 3  Introduction . 4  1  Scope 4  2  Normative references 4  3  Terms and definitions . 5  4  List of hazards 5  5  Safety requirements and/or measures 5  5.1  General requirements 5  5.2  Tanks . 6  5.3  Water systems 7  5.4  Workplaces . 7  6  Information for use 8  6.1  Marking . 8  6.2  Additional marking 8  6.3  Warnings . 8  6.4  Instructions 8  7  Verification of requirements . 9  Annex A (informative) Examples of potable water service equipment . 10  Annex B (normative) List of hazard 11  Annex ZA (informative) !Relationship between this European Standard and the Essential Requirements of EU Directive 98/37/EC“ . 13  Annex ZB (informative) ! !Relationship between this European Standard and the Essential Requirements of EU Directive 2006/42/EC“ . 14  Bibliography 15  BS EN 12312-12:2002+A1:2009 EN 12312-12:2002+A1:2009 (E) 3 Foreword This document (EN 12312-12:2002+A1:2009) has been prepared by Technical Committee CEN/TC 274 “Aircraft ground support equipment“, the secretariat of which is held by DIN. This European Standard shall be given the status of a national standard, either by publication of an identical text or by endorsement, at the latest by October 2009, and conflicting national standards shall be withdrawn at the latest by December 2009. This document includes Amendment 1, approved by CEN on 2009-03-01. This document supersedes EN 12312-12:2002. The start and finish of text introduced or altered by amendment is indicated in the text by tags ! “. This document has been prepared under a mandate given to CEN by the European Commission and the European Free Trade Association, and supports essential requirements of EU Directive(s). !For relationship with EU Directives, see informative Annexes ZA and ZB, which are integral parts of this document.“ The Parts of EN 12312 — Aircraft ground support equipment — Specific requirements — are: Part 1: Passenger stairs Part 2: Catering vehicles Part 3: Conveyor belt vehicles Part 4: Passenger boarding bridges Part 5: Aircraft fuelling equipment Part 6: Deicers and deicing/antiicing equipment Part 7: Aircraft movement equipment Part 8: Maintenance stairs and platforms Part 9: Container/Pallet loaders Part 10: Container/Pallet transfer transporters Part 11: Container/Pallet dollies and loose load trailers Part 12: Potable water service equipment Part 13: Lavatory service equipment Part 14: Disabled/Incapacitated passenger boarding equipment Part 15: Baggage and equipment tractors Part 16: Air start equipment Part 17: Air conditioning equipment Part 18: Nitrogen or Oxygen units Part 19: Aircraft jacks, axle jacks and hydraulic tail stanchions Part 20: Ground power equipment Annex A is informative and annex B is normative. According to the CEN/CENELEC Internal Regulations, the national standards organizations of the following countries are bound to implement this European Standard: Austria, Belgium, Bulgaria, Cyprus, Czech Republic, Denmark, Estonia, Finland, France, Germany, Greece, Hungary, Iceland, Ireland, Italy, Latvia, Lithuania, Luxem- bourg, Malta, Netherlands, Norway, Poland, Portugal, Romania, Slovakia, Slovenia, Spain, Sweden, Switzerland and United Kingdom. BS EN 12312-12:2002+A1:2009 EN 12312-12:2002+A1:2009 (E) 4 Introduction This European Standard specifies health and safety requirements, as well as some functional and performance requirements for potable water service equipment intended for servicing all aircraft types commonly in service in civil air transport. The minimum essential criteria are considered to be of primary importance in providing safe, serviceable, economical, and practical potable water service equipment. Deviations from the recommended criteria should occur only after careful consideration, extensive testing, risk assessment and thorough service evaluation have shown alternative methods or conditions to be satisfactory. This European Standard is a Type C standard as stated in !EN ISO 12100“. 1 Scope This European Standard specifies the technical requirements to minimise the hazards listed in clause 4 which can arise during the commissioning, operation and maintenance of potable water service equipment when carried out in accordance with the specifications given by the manufacturer or his authorised representative. It also takes into account some requirements recognised as essential by authorities, aircraft and ground support equipment (GSE) manufacturers as well as airlines and handling agencies. This standard applies to: ⎯ self-propelled potable water vehicles; ⎯ towable potable water vehicles; ⎯ moveable parts of ramp integrated systems, designed for servicing aircraft and intended to be used under the conditions given in clause 1 of EN 1915-1:2001 (Examples see annex A). This standard does not establish requirements for hazards caused by noise and vibration. This Part of EN 12312 is not applicable to potable water service equipment which is manufactured before the date of publication of this standard by CEN. !This part of EN 12312 is intended to be used in conjunction with EN 1915-1, EN 1915-2, EN 1915-3 (for vehicles) and EN 1915-4.“ 2 Normative references !The following referenced documents are indispensable for the application of this document. For dated references, only the edition cited applies. For undated references, the latest edition of the referenced document (including any amendments) applies.“ !deleted text“ EN 954-1:1996, Safety of machinery — Safety-related parts of control systems — Part 1: General principles for design EN 1050:1996, Safety of machinery — Principles for risk assessment !deleted text“ !EN 1837“, Safety of machinery — Integral lighting of machines BS EN 12312-12:2002+A1:2009 EN 12312-12:2002+A1:2009 (E) 5 EN 1915-1:2001, Aircraft ground support equipment — General requirements — Part 1: Basic safety requirements !EN 1915-2“, Aircraft ground support equipment — General requirements — Part 2: Stability and strength requirements, calculations and test methods !EN 1915-3, Aircraft ground support equipment — General requirements — Part 3: Vibration measurement methods and reduction“ !EN 1915-4, Aircraft ground support equipment — General requirements — Part 4: Noise measurement methods and reduction“ !EN 10088-1“, Stainless steels —Part 1: List of stainless steels !EN ISO 12100-1:2003, Safety of machinery — Basic concepts, general principles for design — Part 1: Basic terminology, methodology (ISO 12100-1:2003“ !EN ISO 12100-2:2003, Safety of machinery — Basic concepts, general principles for design — Part 2: Techni- cal principles (ISO 12100-2:2003)“ !ISO 17775, Aircraft — Ground-service connections — Potable water, toilet-flush water and toilet drain“ 3 Terms and definitions For the purposes of this European Standard, the terms and definitions given in !EN ISO 12100:2003“ and EN 1915-1:2001 together with the following apply. 3.1 potable water service equipment ground support equipment (GSE) for servicing aircraft with potable water by means of a pump 3.2 potable water vehicle self-propelled or towable potable water service equipment 3.3 open work material flooring material for standing areas with openings to allow self-draining and cleaning 4 List of hazards The list of risks and hazards (see annex B) is based on EN 1050:1996 and contains the hazards and hazardous situations, as far as they are dealt with in this European Standard, identified by risk assessment as significant for potable water service equipment and which require action to eliminate or reduce risks. Not covered are risks and hazards due to a standard automotive chassis, the traffic, !repair“ and general misuse. 5 Safety requirements and/or measures 5.1 General requirements 5.1.1 !Potable water service equipment shall conform to the relevant requirements of EN 1915-1, EN 1915-2, EN 1915-3 and EN 1915-4 unless otherwise specified in this standard.“ They shall also conform to the specific requirements of this standard. 5.1.2 Stability and strength calculations shall be carried out in accordance with !EN 1915-2“. BS EN 12312-12:2002+A1:2009 EN 12312-12:2002+A1:2009 (E) 6 5.1.3 The connection to the aircraft system shall meet the requirements of !ISO 17775“. 5.1.4 Where the potable water service equipment is intended to be moved on public roadways, the dimensions, laden mass and other characteristics shall meet all applicable governmental regulations. NOTE Applicable governmental regulations are dependent on the airport of use. 5.1.5 The ground clearance shall allow without interference the transversing of two surfaces intersecting at an angle of ± 3° (5 %) either in bridging or cresting. 5.1.6 The height of the potable water vehicle shall allow the servicing of aircraft as intended by the manufacturer. NOTE Parts of potable water vehicles intended to be driven underneath the aircraft should not be more than 1,60 m (63 in) above the ground (see clause 0 of EN 1915-1:2001 — negotiation). This might cause problems in fulfilling the requirements in ISO 3411:1995. 5.1.7 All parts of the water system shall be made of materials acceptable for use in connection with potable water. Where stainless steel is used, the material shall be acid resistant like quality No 1.4404 according to !EN 10088-1“. All inside surfaces shall be pickled. 5.1.8 Self-propelled potable water vehicles shall be equipped with driver accommodation. 5.1.9 A working light shall be provided, e.g. for connection of hoses to the aircraft during night operations. The design and installation of the light shall conform to !EN 1837“. The minimum electrical power of the lamp shall be 25 W. 5.1.10 Where it is intended to climb upon the vehicle during filling the tanks of the potable water vehicle adequate safety measures to prevent falling shall be taken. Where fixed guard rails cannot be installed, alternative safety measures shall be taken, e.g. filling from ground level, use of foldable or collapsible guard rails. 5.2 Tanks 5.2.1 For easy cleaning and disinfecting, tanks shall have the following features: a) all inside fittings, welds, joints and rivets shall have a smooth finish; b) cylindrical ends shall be dished; c) all inside corners of the tank shell shall have a radius of at least 10 mm (0,4 in); d) the bottom of the tank shall have a minimum slope of 1° towards the drain point. NOTE 1 Tanks can be equipped with system insulation and/or heating to protect water from freezing. NOTE 2 An easily readable tank content level indicator, protected against mechanical damage can be installed. 5.2.2 Baffles shall be installed inside the tank, if the capacity is over 1 000 l to prevent surge of load while the potable water vehicle is driven. 5.2.3 Tanks shall have at least one raintight inspection hole with a minimum diameter of 400 mm (16 in) in the upper region to facilitate cleaning, disinfecting and inspection. 5.2.4 Tanks shall be fitted with raintight ventilating means. 5.2.5 Tanks shall be securely fitted to the chassis of the potable water vehicle, to avoid relative movement between tank and chassis, working loose, wear and tear. BS EN 12312-12:2002+A1:2009 EN 12312-12:2002+A1:2009 (E) 7 5.3 Water systems 5.3.1 Where the pump is driven by a power take-off, it shall not be possible to operate the pump unless the vehicle s transmission is in neutral or park position and vice versa. The corresponding safety circuit shall be according to EN 954-1:1996, category B. 5.3.2 A shut-off valve shall be installed between tank and pump. NOTE A filter can be installed between pump and water outlet and/or between tank and pump. 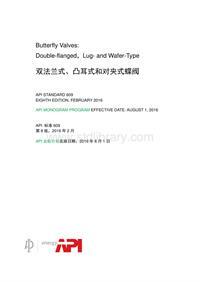 5.3.3 There shall be a relief valve to allow the pressure to be regulated according to the requirements of different aircraft types. The relief valve shall be adjustable easily, e.